Our Lower Leg Weights are specifically designed for freedivers who have trouble lying flat (parallel to the ocean floor) after decent. For divers whose lower bodies are more buoyant than their upper bodies, it is nearly impossible to lay flat and they find themselves having to arch their backs in order to compensate for the greater buoyancy in the lower body as their feet and legs begin to rise. This problem is significantly magnified when diving in cold shallow water because at shallow depths, the thicker wetsuits are even more buoyant because the shallow depth is not enough to compress the neoprene material, thus making the lower body even more buoyant. In the past, divers have used traditional ankle weights, but, they were much too bulky and did not hold tight to the body. They flopped around too much, and were not streamlined enough for the sport of freediving. 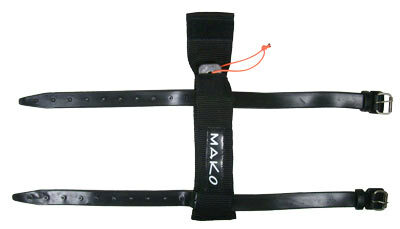 For divers needing to overcome a buoyancy issue, these lower leg weights are the answer. 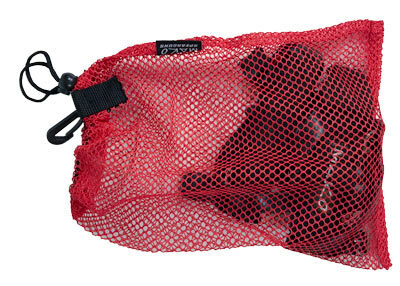 Each weight is 1.5lbs and can easily be ditched simply by pulling on the exposed cord. 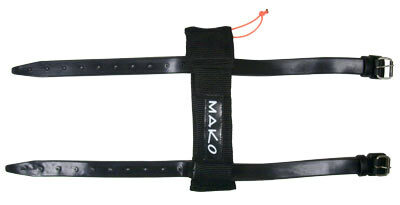 The weights are held tight to the leg by the rubber straps with buckles. 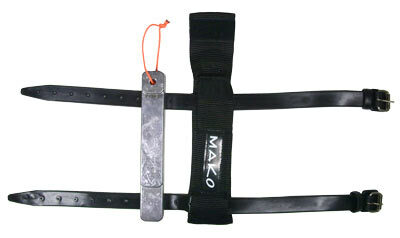 The sheath holds one weight each and prevents the weight from moving. NOTE: When determining how much overall weight to use, the two lower leg weights must be added into your overall total. Sold by the pair, includes 2 low profile rectangular weights (1.5lbs each), two sheaths and 4 rubber straps with buckles.